Why did my exported file combine all Columns into one cell? Streak's exporter will download your Pipeline data in a CSV (Comma Separated Value) file format. 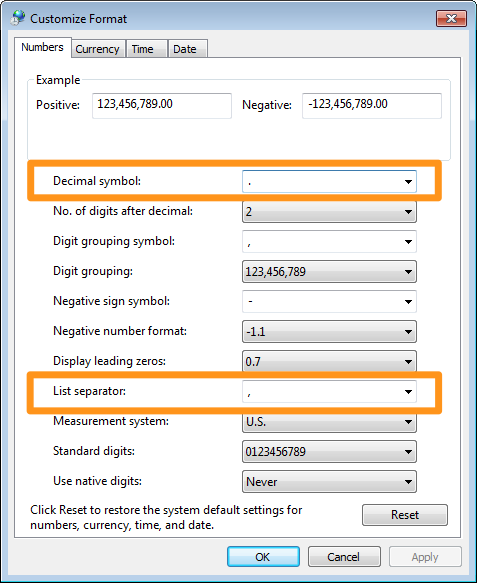 If you're using Streak internationally, you may need to adjust your computer settings to support the comma delimiter. 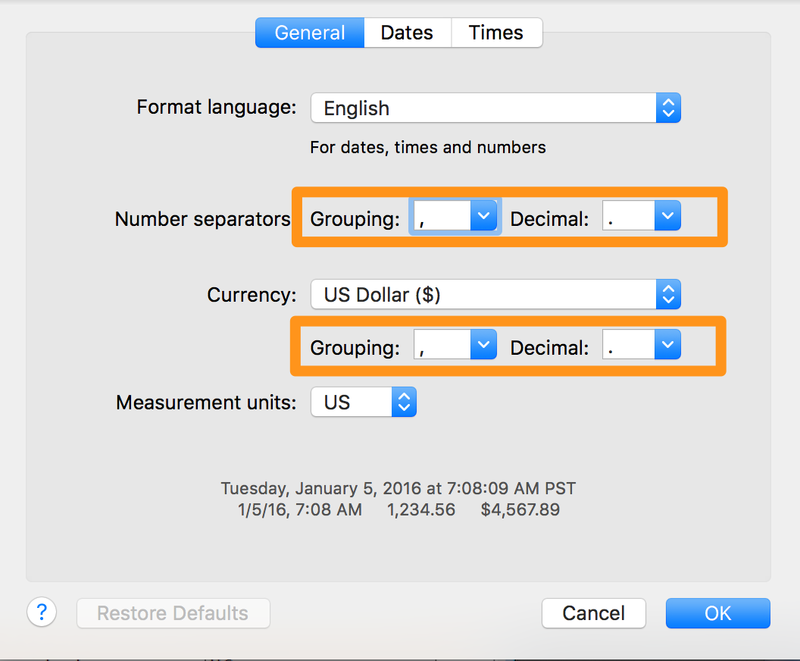 Change both the Decimal and the List Separator to a comma ","
Then, change both Number Separators to a comma ","